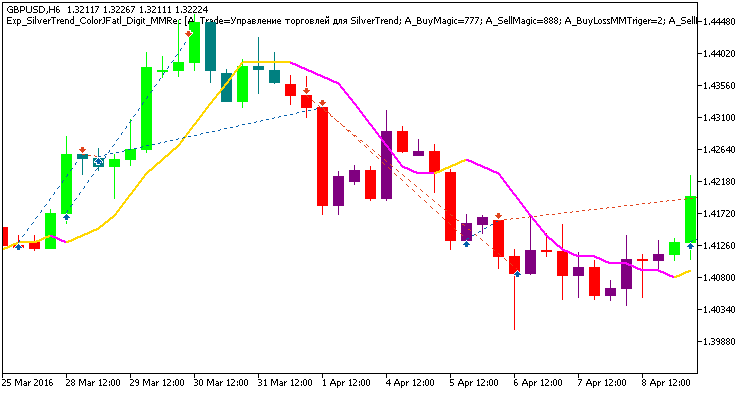 Two independent trading systems using indicators SilverTrend_V2 and ColorJFatl_Digit within one EA, with an option of changing the size of the future trade depending on the results of the previous ones for this trading system. Signals to open trades by trading systems are formed when a bar is closing, if the trend has changed, displayed through changing the color of any of those two indicators. With such inputs and if there are two last trades within the same trading direction, the EA will open the next trade in the same direction with the lot size of as little as 0.01. Should at least one of two last trades be non-losing, then the position volume will be 0.1. For the generated EA to operate correctly, the compiled files of indicators SilverTrend.ex5 and ColorJFatl_Digit.ex5 must be in the <terminal_data_directory>\MQL5\Indicators folder. In testing shown below, the EA's default inputs were used with stops. Two independent trading systems using indicators BykovTrend_V2 and ColorX2MA within one EA, with an option of changing the size of the future trade depending on the results of the previous ones. 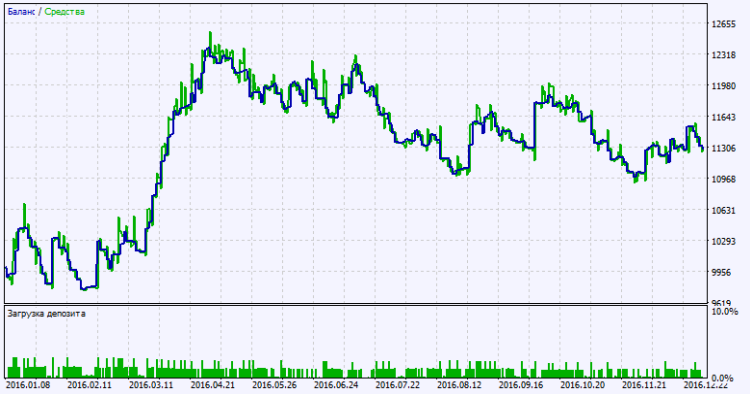 Working with two indicators, Fractals and Stochastic, simultaneously, or with only one of them.